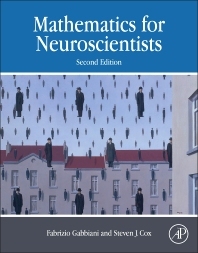 Mathematics for Neuroscientists, Second Edition, presents a comprehensive introduction to mathematical and computational methods used in neuroscience to describe and model neural components of the brain from ion channels to single neurons, neural networks and their relation to behavior. The book contains more than 200 figures generated using Matlab code available to the student and scholar. Mathematical concepts are introduced hand in hand with neuroscience, emphasizing the connection between experimental results and theory. Dr. Gabbiani is Professor in the Department of Neuroscience at the Baylor College of Medicine. Having received the prestigious Alexander von Humboldt Foundation research prize in 2012, he just completed a one-year cross appointment at the Max Planck Institute of Neurobiology in Martinsried and has international experience in the computational neuroscience field. Together with Dr. Cox, Dr. Gabbiani co-authored the first edition of this bestselling book in 2010. Dr. Cox is Professor of Computational and Applied Mathematics at Rice University. Affiliated with the Center for Neuroscience, Cognitive Sciences Program, and the Ken Kennedy Institute for Information Technology, he is also Adjunct Professor of Neuroscience at the Baylor College of Medicine. In addition, Dr. Cox has served as Associate Editor for a number of mathematics journals, including the Mathematical Medicine and Biology and Inverse Problems. He previously authored the first edition of this title with Dr. Gabbiani.